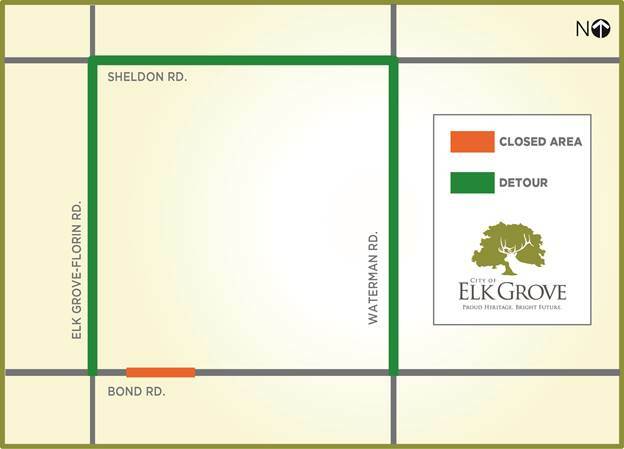 In their ongoing repair of railroad tracks running through Elk Grove, the Union Pacific Railroad has announced crossing repairs will be done on Bond Road. 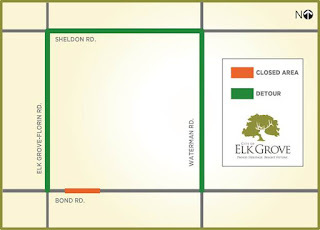 The repairs will require the closure of Bond Road between Elk Grove-Florin and Waterman roads. The closure of Bond will start on Monday, August 15 and conclude on Friday, August 19. This closure will affect all eastbound and westbound through traffic including emergency and pedestrian traffic. A full 24-hour closure will be in place over the five day period. Access for all property owners and businesses will be maintained. Increased Travel Times & Detours: Through traffic is advised to avoid this area during the closure period. Roadway users are advised to use alternative routes until project work is completed (see detour map). Detour signs and electronic message boards will be in place to alert motorists, pedestrians, and bicyclists about the temporary closure. Construction Activities: Project work to repair the railroad crossing will be performed by Union Pacific work crews as part of a regional repair project. Repair work is also anticipated for the Calvine Road crossings later this month. Work is tentatively scheduled for August 22-26. Closure Period: The City of Elk Grove understands the challenges and inconvenience that commuters, residents, businesses, and pedestrians will experience during the closure period and ask for the public’s patience and cooperation as we work to complete this project as quickly and efficiently as possible. Re-opening: This stretch of Bond Road is expected to re-open by 5:00 pm on Friday, August 19.